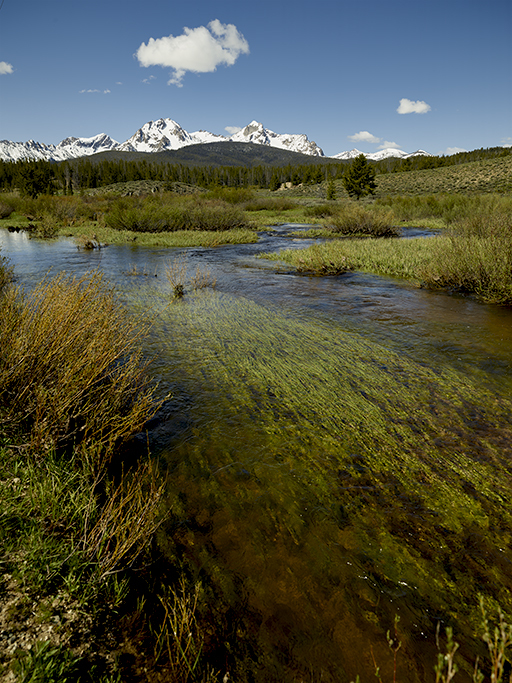 Elk Creek, Valley Creek, Stanley Lake Creek and Stanley Creek just west of our cabin converge on Memorial Day Weekend. Original size: 30″ by 70.” Note: the fence line was built by a volunteer group led by my friend Ed Cannady. Memorial Day 2017. Is it simply an extended weekend or a day to recognize those who died while serving in our country’s armed forces? I choose the later with the implication being I am afforded the former in great deal because of the sacrifice of others. I have included some photos of the place I love because of their efforts. Stanley Creek with McGowan and Mystery Peaks in the background. Memorial Day Weekend 2017. Tomorrow, I honor a relative who died in service – Captain James Hammer. I have written in detail about Memorial Day in the past. This time I will ask the question. Is it simply an extended weekend or a day to recognize those who died while serving in our country’s armed forces?